Cindy has helped clients with their mortgage needs for the past 20 years, all of which have been at Wallick & Volk. She consistently remains one of the top producing loan officers in the company year-after-year in terms of both mortgage loans closed and highest volume. 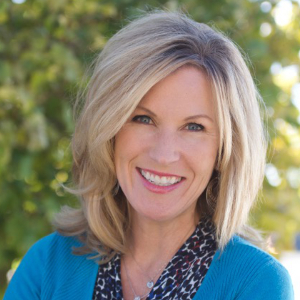 With her leadership, the Cindy Bradley Team have designed and implemented many strategies that are used throughout the company. She has been recognized for her accomplishments from being WCDA's Wyoming Lender of the Year, honored as a Top 1% Mortgage Originator in America by Mortgage Executive Magazine, and recently as a Scotsman Guide's 2018 Top Originator for the State of Wyoming. The Cindy Bradley Team closes a home loan every 40 hours 1, but are readily available and accessible to give individualized attention to meet homebuyers’ needs. From helping first-time homebuyers navigate the complexities of purchasing their first home, building credit repair strategies for future homebuyers, and assisting over 550 veterans and active duty military families with their home purchase or refinance, Cindy is ready to help YOU! She is licensed in WYOMING, COLORADO and NEBRASKA and is able to serve families in this tristate area. Cindy, her husband and three children are very active in local volunteering and community activities, as well as maintaining a busy schedule attending their youth sport functions! Cindy is the organizer behind GIRLS ON THE RUN of Laramie County, a non-profit organization focused on building confidence and self-esteem among young girls in Laramie County. Cindy and her team are exceptionally thorough, efficient, and professional! This is the 3rd time we have used Cindy and I would recommend her to everyone who is buying a home or refinancing! Cindy and her team made our loan process stress free and fast. After dealing with other lenders for 5 months I was glad to find Cyndi, she had our loan closed in 3 weeks. We had a very good experience working with Cindy. She was very professional, and on track with our needs. The whole process went smoothly and timely. Anxious to work with her again!